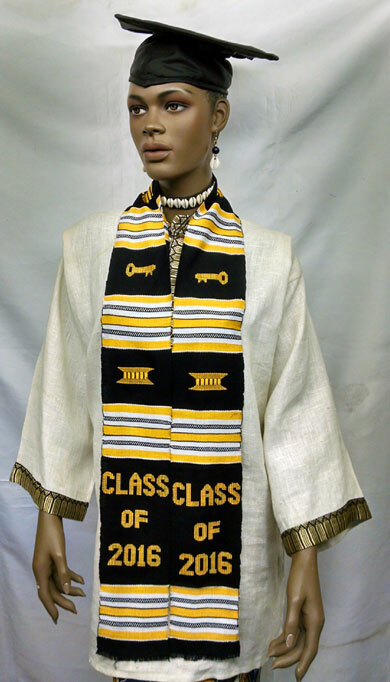 Authentic Handwoven graduation stole or sash 2019 . (72"x 4" Long). Graduation matching Cap with elastic back for free size perfect fitting is sold separately. Our graduation stoles or sash are characterized by the tightness of the weave which creates a firm "hand" and smooth to the touch. The lettering, perhaps the most noticed part the stole, is neatly and meticulously rendered. Perfect for graduation and gift item. Now! Free Shipping and Handling Options Available. Made by Wilsdom Designs.